Tara is a married mother of four children. She's a Florida native who has lived in Germany, North Carolina, Ohio, and has now been a Stillwater resident for the past 12 years. Tara was the former Captain in the USArmy in the logistics field, Recruiter, and Raleigh, NC Director for Orion Consulting (Junior Military Officer recruiting firm). 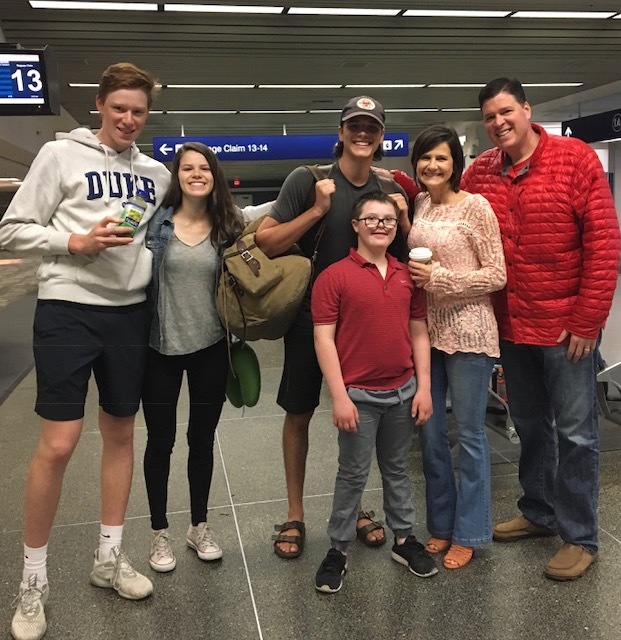 Tara is now a stay-at-home mom who volunteers in a variety of activities, enjoys hang out with her family, finding time to read, and loves to travel. Tara grew up in a small town in Florida in the 1980s. She loved her small town southern upbringing because it gave her a sense of place and how special "place" is in shaping who you become. However, like many in her generation, she never saw or interacted with kids with disabilities; as far as she knew there were none in her hometown. Tara feels that this was a loss for her and for them and is so grateful that the youth of this era are growing up with special kids and interacting with them on a daily basis as part of a community. Tara thinks there are segments of the youth in the St Croix Valley area that don't feel connected to a community; they don't see themselves as stakeholders and integral parts of a larger organization. She believes ArtSpoke provides the opportunity for kids to work alongside community members in a shared activity that gives them a sense of purpose, pride and a feeling of belonging to a greater community. ArtSpoke's hospitality focus really strikes a chord with Tara. She believes this is an area in which children get few opportunities to practice and even fewer to be graced with. She believes teaching this generation how to intentionally welcome others and to be welcomed in return will pay dividends to our community in the future and to our youth individually, as well. Tara is a co-founder of Valley Friendship Club (a local non-profit) that provides social opportunities for teens and young adults with intellectual/developmental disabilities. She co-chaired 2010 Twin Cities Arc Gala raising over $400,000. She is an active member and Elder at First Presbyterian Church in Stillwater and has a 12 year old son with Down Syndrome, as well as 3 other young adult children.